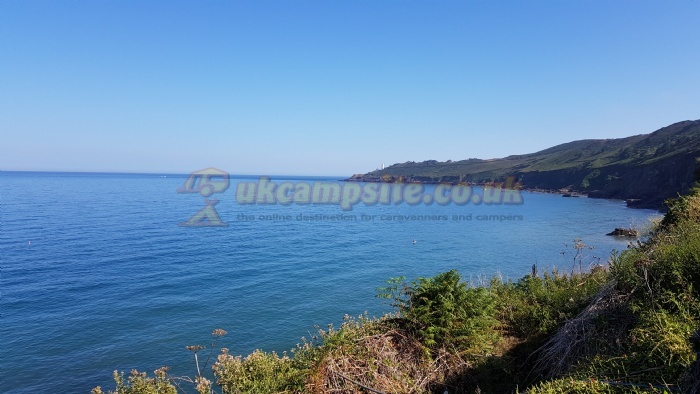 Sugar Park is a small and family-run back-to-basics campsite on the coast at Beesands in the beautiful South Hams region of Devon. A pet friendly site, it accepts tents, campervans, caravans and motorhomes. Surrounded by working farmland, you'll find unparalleled views out to sea from almost all locations on the site. Located just a five minute walk from Beesands beach, Sugar Park enjoys exceptional views of Start Bay and the South Devon coastline. It's a true back-to-basics campsite, with a family-friendly feel and a laid back atmosphere. All pitches are on grass, suitable for tents, campervans, caravans and motorhomes. The site is pet friendly. Guests here enjoy easy access to Beesands beach, and are only a short drive from Hallsands, Blackpool Sands, Bantham, Thurlstone and many others. Hope Cove is great for rockpooling. There are two exceptional and award winning restaurants (one a gourmet pub) at Beesands village, and you'll be spoilt for choice on good fish and chips. Walkers should head out along the South West Coast Path (the UK's longest national trail), perhaps down to Start Point Lighthouse at the bottom of Freshwater Bay. Bird watchers will love the hide down by Widdicombe Ley, a freshwater bird spotting hotspot. From the A379 coming from Kingsbridge, take the right hand exit at the Stokenham roundabout just past the village of Chillington. Follow the road, bearing to the right where there appears to be a left hand fork, following the signs to Beesands. Continue along this road for a mile or so until you come to a left hand turn with a signpost to Beeson, Beesands and The Cricket Inn. Turn in and follow the road through Beeson village and then continue on the Beesands Road towards Beesands. Shortly after existing Beeson village you will find the entrance to Sugar Park Campsite on the left hand side of the road.